benefit most from them and since their participation will likely have the greatest impact on U.S. higher education. 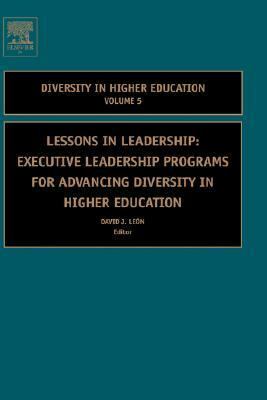 This volume has three sections: "Hidden Springboard: The Importance of Leadership Programs" "The First Wave: Traditional Leadership Programs" and "The New Leaders: Programs Focused Entirely on Minorities." The first analyzes the rapid demographic changes occurring in American society and their consequences for higher education. The second looks at two of the major players in higher education leadership and describes the changes in the programs over the years. The third focuses on the latest entrants: programs created in part because of the lack of diversity in the traditional offerings. Although the new programs share many features with their older brothers, they provide special perspective on the challenges facing minority administrators in higher education. Leadership programs are an intriguing, important, half-concealed force in higher education today. Lessons in Leadership reveals them to a wider public. Leadership Development Program in Higher Education: Asian Pacific American Leaders in Higher Education-An Oxymoron?